John Burns, the trade unionist once famously said of London’s river "Every drop is liquid history". In 1798 a newly formed body of police officers brought much needed law and order to that most historic of rivers. The Thames River Police was the first policing body ever to be set up. 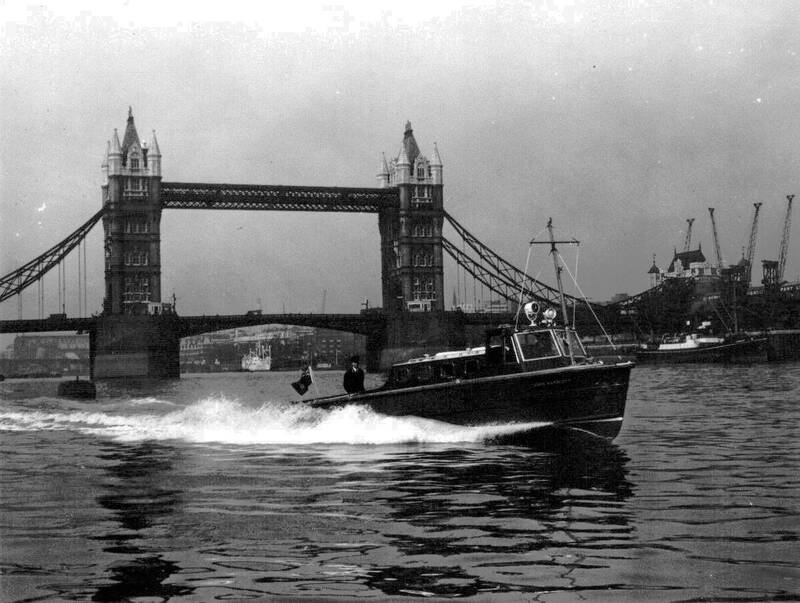 Its sole objective was the prevention and detection of crime on the Thames and it was to become the forerunner of many other police forces throughout the world. The Thames Police Office initiated by Harriott and Colquhoun in 1798 was eventually absorbed into London's Metropolitan Police in 1839 and became known as Thames Division. For over two hundred years the division’s launches and officers have been at the forefront in saving lives and protecting property on the Thames. Today, the River Thames and indeed all of London’s waterways are policed by the Marine Police Unit of the Metropolitan Police Service. In order to effectively deal with the problems of policing London’s River in the twenty first century, the tasks undertaken by today’s officers must differ greatly from the work carried out by their eighteenth century predecessors. Today, fast patrol launches, some of them capable of more than forty knots have replaced the original rowing galleys and officers are more likely to be involved in "Counter Terrorism" patrols than in attempting to prevent river pirates looting the river’s shipping... However, the dark and murky waters of the Thames are still policed on a twenty four hour a day basis by traditional London "Bobbies" and to the people who live and work on the Thames they are still simply know as "The Thames River Police". The Thames River Police in action in the early 1960's.